The dataset, collected to support oil removal activities and assess the presence of dispersants, wraps up a three year process that began with the gathering of water samples and measurements by ships in the Gulf of Mexico during and after the oil release in 2010. 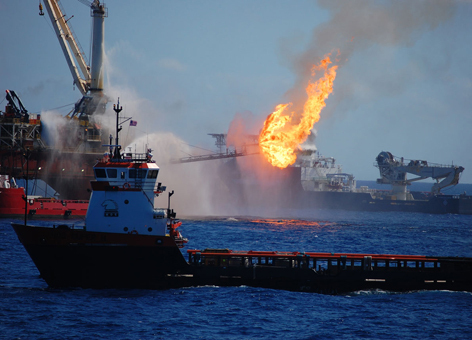 NOAA was one of the principal agencies responding to the Macondo well explosion in the Gulf of Mexico, and is the official ocean data archivist for the federal government. While earlier versions of the data were made available during and shortly after the response, it took three years for NOAA employees and contractors to painstakingly catalog each piece of data into this final form. This Deepwater Horizon Oil Spill dataset, including more than two million chemical analyses of sediment, tissue, water, and oil, as well as toxicity testing results and related documentation, is available to the public online at: http://www.nodc.noaa.gov/deepwaterhorizon/specialcollections.html. A companion dataset, including ocean temperature and salinity data, currents, preliminary chemical results and other properties collected and made available during the response can be found at: http://www.nodc.noaa.gov/deepwaterhorizon/insitu.html. The Deepwater Horizon Oil Spill response involved the collection of an enormous dataset. The underwater plume of hydrocarbon—a chemical compound that consists only of the elements carbon and hydrogen—was a unique feature of the spill, resulting from a combination of high-pressure discharge from the well near the seafloor and the underwater application of chemical dispersant to break up the oil. ... The effort to detect and track the plume was given to the Deepwater Horizon Response Subsurface Monitoring Unit (SMU), led by NOAA's Office of Response and Restoration, and included responders from many federal and state agencies and British Petroleum (BP). Between May and November 2010, the SMU coordinated data collection from 24 ships on 129 cruises. While on this scientific sampling cruise, I found myself working closely with the U.S. Environmental Protection Agency scientists, the ship's captain and oceanographic technicians, BP's scientific lead and contractors, and NOAA's Natural Resource Damage Assessment representative. There were also experts from Canada's Department of Fisheries and Oceans aboard. The work our team began quickly became the basis for the Subsurface Monitoring Unit within the spill response, which coordinated and provided scientific expertise for sampling, analysis, and mapping. Our team was made up of NOAA staff, in addition to others from the EPA, U.S. Geological Survey, and Gulf states. During the first several months of the response, our team worked closely with EPA and other partners to establish common data management protocols that would allow us to coordinate and collect data including chemistry samples, acoustics, particle size, and oceanographic measurements from federal, BP, and academic scientific cruises in the Gulf of Mexico. These datasets were quickly analyzed and used by the scientific advisors and U.S. Coast Guard to make decisions about directing spill response clean-up operations. NOAA's Office of Response and Restoration and National Coastal Data Development Center (a division of the National Oceanographic Data Center) formed a close partnership, working with federal, state, and university scientists to gather, organize, process, and analyze oceanographic data—in addition to archiving and making these datasets publicly available. NOAA Physical Scientist Mark Miller: In October of 2010, shortly after returning from Coast Guard headquarters where I worked during the oil spill, I was asked to help prepare for public release the data collected by the Subsurface Monitoring Unit on the research vessels such as the one my colleague Ben Shorr was on. A few months later in January of 2011, I picked up where Ben left off on coordinating this effort. Now, I had been involved in database development and deployment for 20 years, so I felt prepared for this task. This was naïve. While at Coast Guard headquarters in Washington, DC, I had been closely involved with the group that used some of the same Subsurface Monitoring Unit data to prepare operational reports for the National Incident Commander, Coast Guard Admiral Thad Allen. Yet, I did not realize the scope and depth of the data collected on these research cruises. When told later in the project that there were over 2 million records collected, I quickly gained a much greater appreciation of the long, rigorous process involved in preparing and making this information public. The National Oceanographic Data Center has been releasing and updating this response data on a dedicated public website since early in the spill, and this process is finally complete. Because these data will be archived for at least 75 years, they will be available to help researchers for decades to come. Ben Shorr has been a Physical Scientist with NOAA's Office of Response and Restoration since he came to Seattle (mostly to ski and sail) in 2000. Ben works on a range of topics, from cleanup, damage assessment, and restoration to visualization and spatial analysis. In his spare time, he enjoys hanging out with his 5 and 3 year old kids, which means riding bikes, skiing, and sailing too. Mark Miller has been with NOAA's Office of Response and Restoration in the Emergency Response Division for 25 years, starting the year before the Exxon Valdez oil spill. When not wrestling with data from the Deepwater Horizon/BP spill, he supervises the in-house programming staff and is the NOAA Program Manager for the CAMEO software suite used extensively by fire services across the country to respond to chemical release incidents.